Opening a self-directed retirement account gives you the freedom to invest in almost any type of asset - meaning you have more flexibility in the amount of risk you take on and more potential for a higher rate of return. The ability to diversify your portfolio by investing in alternative assets such as real estate and precious metals can act as a hedge against market fluctuations and volatility. 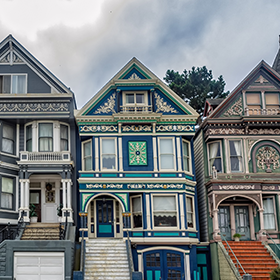 Investing in alternative assets like real estate with your self-directed IRA isn’t too different from a regular real estate purchase. However, there are important rules and process that you must follow to do it right. Self-directed IRAs that focus heavily on real estate investments are often referred to as "Real Estate IRAs." With a Real Estate IRA, your retirement funds can invest in all kinds of real estate and real estate-related assets. To help our readers understand the Real Estate IRA purchase process, let’s take a look at an exclusive case study about an Entrust client, Maria. She is interested in using her retirement funds in her self-directed IRA, to purchase real estate. Maria has $250,000 in a Traditional IRA at a bank. For some time, her real estate agent, Bob Realtor, has been telling her about the benefits of owning real estate in a self-directed IRA. She is interested, but is not familiar with the investment process. The bank that is her IRA custodian does not allow real estate investments in an IRA. Maria starts by reading materials in The Entrust Group’s online Learning Center. These explain the IRS rules she must follow. She reads about prohibited transactions and how to do due diligence on a potential transaction. Completes a transfer form to move her IRA balance from the bank, her current custodian, to Entrust and provides an account statement from the bank. Entrust opens the account and initiates the transfer from her previous custodian. While the funds arrive at Entrust, Maria and Bob Realtor look at a number of properties that would qualify as IRA investments. One of them is for sale at $179,500, which fits her budget. The money has arrived at Entrust and Maria has selected a property. There are several ways Maria can fund the purchase: direct purchase, partnering, leveraging, or through a limited liability partnership. 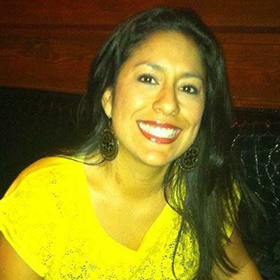 Maria chooses to make an all-cash offer (direct purchase) contingent on inspections and clearances. The offer is made in the name of her IRA and is titled in the name of the IRA. In Maria’s case, the purchase agreement reads: The Entrust Group, Inc. For Benefit of Maria IRA #12345. The offer is accepted and Bob Realtor chooses a title company to open escrow. Maria completes an Entrust Buy Direction Letter, instructing Entrust to wire $10,000 to the title company as an earnest money deposit, and an additional $500 for the inspection and other expenses. The purchase contract is included with the Buy Direction Letter. Maria reads and approves all documents that Bob Realtor, and the title company send to her to makes sure everything is correct. Only then will Entrust sign the documents on behalf of her IRA. Maria does not sign the documents because Entrust is the signatory on all documents on behalf of her self-directed Traditional IRA. The property has passed all the inspections to Maria’s satisfaction and she is ready to conclude the purchase. Once Entrust receives all the required documentation for the purchase, Entrust wires $169,500 from her account to escrow in accordance with the closing statement, which includes all closing costs. Maria watches her Real Estate IRA grow as the rent checks keep coming in. The best part is the taxes on the earnings are deferred. Eventually, Maria has enough profit to purchase a second property with her IRA! She’s always on the lookout for new deals that can help her save for a comfortable retirement. Self-directed IRAs can be an extremely rewarding way to earn healthy returns by investing in one-of-a-kind projects that truly matter to the investor. Retirement is all about pursuing lifelong passions and turning dreams into reality. Making the right investment in unique people, deals, and companies can be a very rewarding part of that process. Retirement really can be a dream come true when investors listen to what the heart truly wants, and support the people and causes that they truly care about using a self-directed IRA. 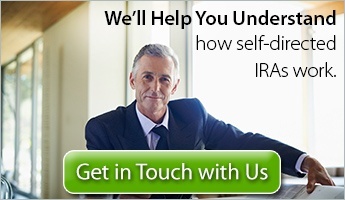 We can help you learn more about self-directed IRAs and real estate purchases. Contact Entrust today by clicking on the image below for a free consultation.